George Vukovich's advertisement for Glamour Shots, circa 1984: "Why Glamour Shots? Because you deserve to look your best forever." (Smiles winningly into camera) "Why Glamour Shots? Because you want to shut up all those people who asked when you were going to get a haircut." (Wind blows through hair) "Why Glamour Shots? Because when else will three layers of clothing make sense?" (Rubs hands over rubber undershirt) "Why Glamour Shots? 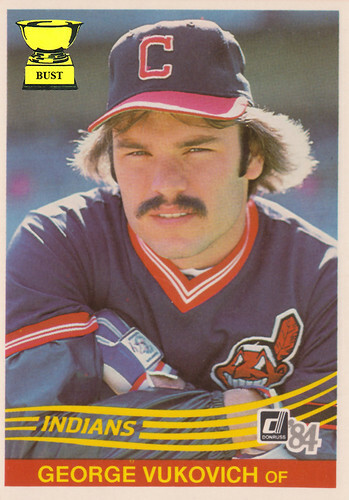 Because you're tired of everyone asking whether you're related to the clearly uglier Pete Vuckovich." (Makes barf noises) "Why Glamour Shots? Because you're worth it." (Wind blows through mustache)"